When you play this album, and immediately start to think you’ve heard this voice before, you’re right. 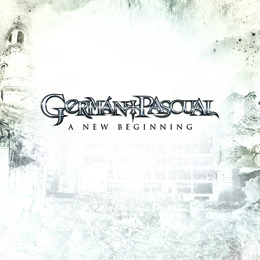 German Pascual sang in Swedish band Narnia, with whom he recorded their 7th, and final album ‘Course Of A Generation’. He then moved to Divine Fire as co-lead singer together with Christian Liljegren. One could almost think that this is a new Narnia album, as it’s musical style is very close to before mentioned band. This is a perfect marriage between power metal and melodic metal, with symphonic elements mixed in as well. Hell, at moments I even find this sounds like Divine Fire itself. Since Pascual is a devout Christian, the lyrics obviously center around Christian or religious themes, but that shouldn’t put you off. Let the music just speak for itself. Highly recommended to Narnia, Divine Fire fans, but equally to Symphony X fans.